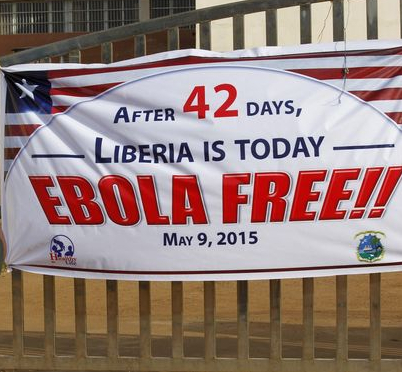 On May 9th, the World Health Organization (WHO) announced that Liberia was Ebola-free. The virus has been responsible for nearly 4,700 deaths within the country. Precautionary methods are still in place to prevent possible cross-border infections from Sierra Leone and Guinea. Since the outbreak began last March, our partners at the National Catholic Health Council of Liberia have worked diligently to control the spread of the virus. Funds from Global Strategies have helped this effort, providing supplies and supporting Liberian healthcare workers. The message we received on Saturday from Sister Barbara, Chair of the National Catholic Health Council of Liberia stated, “Today we are pleased to inform all of our donors that there are zero cases of Ebola, but we are still watchful for any cross-border infections. We have accomplished a great deal with all of your help ... and together we have done great things.” During these moments we remain hopeful and grateful to the dedicated healthcare workers in Liberia and to our generous donors.